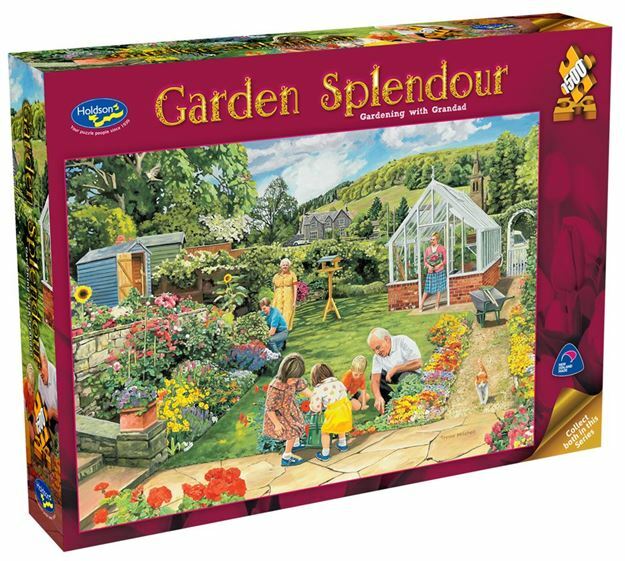 Artist Trevor Mitchell brings the beauty of gardening and family time together in this Holdson 1500pc puzzle series, Garden Splendour. Both puzzles are vibrantly coloured and full of detail. Titles include: Gardening With Granddad and Spring Garden. Each design sold separately. Collect both designs. Age 8+ years. Made in New Zealand by Holdson. Approximate puzzle dimensions: 688mm x 493mm. Box size: 270mm x 370mm.